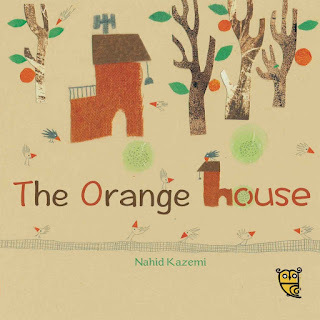 When I first came across The Orange House, it struck a chord in me. I live in a regenerated part of London and often walk the streets, looking for old houses or plaques that tell me what stood there years ago. 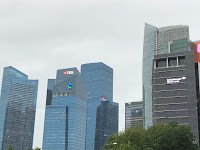 I also lived in Singapore where many of the old neighbourhoods were converted into multi-level apartment blocks. When I was recently visiting, apart from the new buildings that caught my eye, I was moved by the beautiful buildings that still stand near China Town. This picture book story is more than a read-aloud story. It’s a story that will inspire discussion and debate. About housing for more people vs giving up on old ways of living, about pollution and lack of gardens, about activisim and standing up to protect one of your own. This story has been brought to the UK by Tiny Owl Books. Written and illustrated by Nahid Kazemi, translated by Azita Rassi, this is a story that will make young readers think and talk about the Orange House long after they have put the book back in the shelf. If you like this book and want to find out more about other publishers who publish inclusive books, check out my post here. Chitra Soundar writes picture books and young fiction and her upcoming title You're Safe With Me (illustrated by Poonam Mistry) will be out in May 2018 from Lantana Publishing.